Millions of Afro-American men and women in the United States have been avoiding a body grooming solution, because of their skin color. 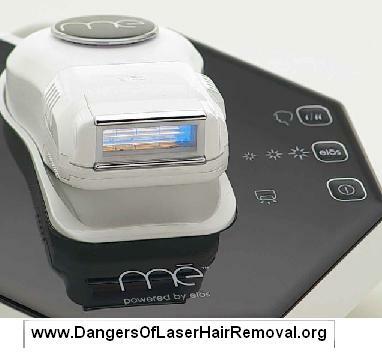 All those with dark-black skin have been disqualified for undergoing laser hair removal at home. Afro-Americans had to find different solutions for removing hair, like painful waxing or using chemical hair removal creams, both are temporary. Since the invention of laser hair removal technology, those with black skin (or even dark brown skin) have been in the high risk group for getting skin burns from the laser treatment. The light energy used by all laser and IPL systems, work by the same principle – turning Light energy into Heat. The light is attracted to the dark matter in the hair, and when the light flash or laser zap is intense the dark hair is burned. This solution has worked well for white people. Those with dark hair have been found to be the perfect candidates for laser hair removal. But those with black skin were noticing the treatments very painful, and most of them had skin burns!! The technology was working well, but instead of the hair getting burned, the surrounding skin of black people was getting burned. The dark pigment in the skin was attracting all the light energy, and severe burns occurred. All the manufacturers of laser hair removal devices had to find a way to make sure their device would not cause skin burns to dark Afro-Americans. There are several solutions like skin color sensors which lock the device if it is placed over dark skin, or a skin color sensor which require the user to check if the skin is too dark before treating it. The most noticeable warning on each product is that it is not safe for people with dark skin, pictures of 6 skin color tones are used to make it crystal clear that those with dark skin are risking personal danger and are not permitted to use the device. See below the safety scale from one of the IPL devices – Dark brown and black skin are not allowed. What Is ELOS? And How Is It Different? ELOS is Electro-Optical-Synergy, it is a technology developed by an Israeli scientist (Dr. Shimon Eckhouse) which has changed the lives of millions of people. He has invented the IPL (Intense Pulsed Light) technology 15 years ago and allowed millions to have their hair removed more safely than laser. Then Dr. Shimon Eckhouse, has done it again, he built Syneron corp. and brought the world the ELOS technology, combining for the first time light and radio frequency waves for esthetic procedures. The first professional ELOS systems were for doctors and medical clinics costing each $100,000. Than about three years ago, Syneron has launched the first ever ELOS system for home use. The same technology in a compact device. ELOS technology works similar to IPL (light turning into heat), but with one great difference. The light is not too intense. With ELOS the flash of light is followed by radio frequency waves. The RF waves are create more heat which disable the hair growth. It took about three years for Syneron to get the FDA clearance, and the revolution began. The Me my ELOS home system Pro-Ultra (3rd generation model) has got the FDA approval for being safe to be used over dark and black skin. For the first time in people with dark skin, Afro-Americans, Latin, Indian, Native American, Middle East, African and even just very tanned skin types can do a home ‘laser’ hair removal safely. The ME my ELOS is by far more superior than any other system, regardless of it’s ability to treat over dark skin. Thousands of customers in Europe and all over the world have been purchasing it for it’s added values and features. The Me my ELOS Pro Ultra is the only device safe for all skin tones. 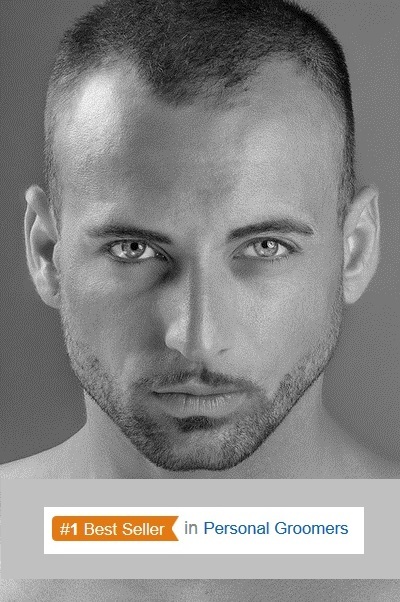 The Me ELOS Pro Ultra is the only device approved for removing all hair colors. It’s the device that is fastest than any other. Can complete a full body in 30 minutes, while others do a leg in one hour.. The Pro Ultra comes with a facial kit adapter and safety goggles, for safer facial hair removal. The Me ELOS Pro Ultra has 120,000 flashes per lamp, other systems have 2000 flashes installed. 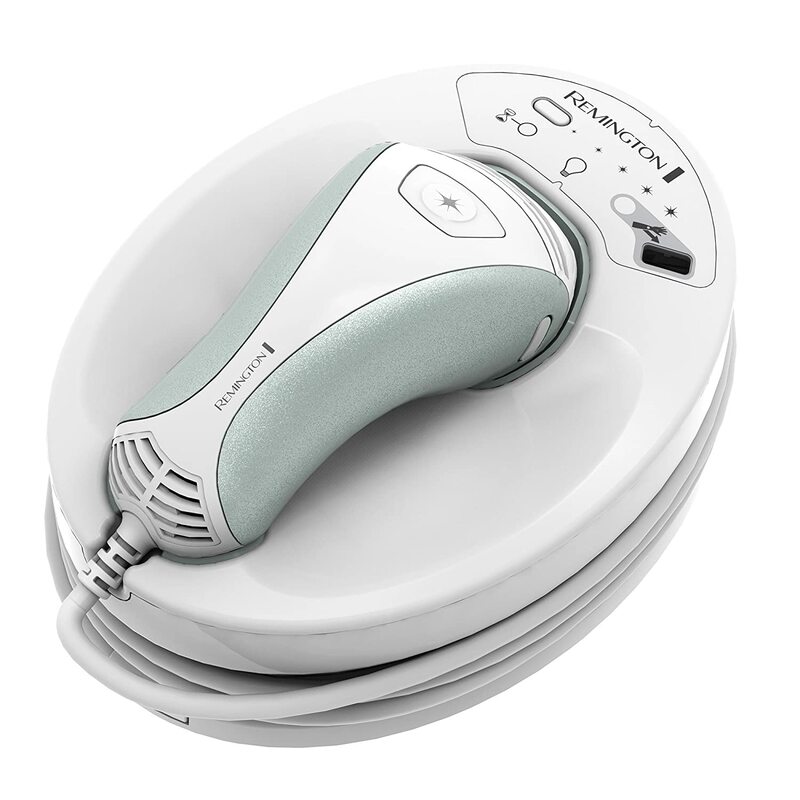 Shaver attachment and Epilator attachment (sold separately) both turn the hair removal process to simple and convenient. If you are a non Afro American customer you can choose which ever home hair removal system you wish. Many choose the ELOS technology for it’s safety and features. If you are an Afro American with dark to black skin you have no other safe choice for a home hair removal other than the ELOS. This entry was posted in Hair Removal News, Home Hair Removal, Me my Elos Hair Removal and tagged African American Laser Hair Removal Risks, Black Skin Laser Hair Removal, Dark Brown Skin Hair Removal, ELOS Hair Removal For Afro-Americans, FDA Approved For Dark Skin, Laser Hair Removal at Home On Dark Skin, Laser Hair Removal For Afro-Americans, Me my ELOS for African American Skin, Me my Elos For Dark Skin by . Bookmark the permalink.